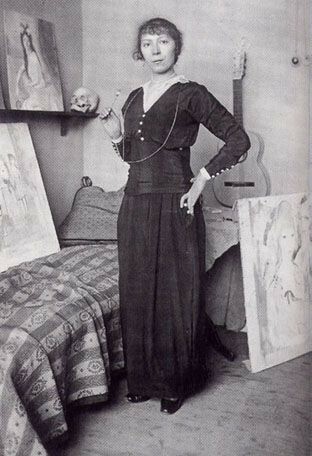 Marie Laurencin was a French painter and printmaker. She was born on October 31, 1883 and died on June 8, 1956. In 1941, she married Baron Otto von Wätjen. She adopted Suzanne Moreau as her daughter in 1954. She met Picasso and Guillaume Apollinaire. Her art is very influenced by Persian miniature painting and Rococo art. She created the stage design for "Ballets russe" and the set for the "Comédie Francaise" in 1928. She also illustrated books, including "La Tentative Amoureuse" by André Gide and "Alice in Wonderland" by Lewis Caroll. 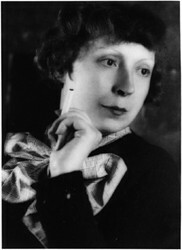 This is a portrait photo of Marie Laurencin. This is a painting by Laurencin. 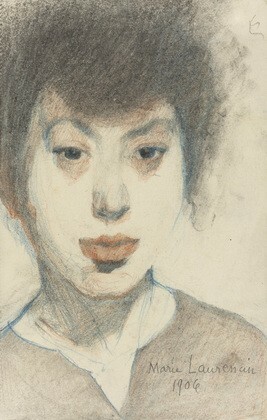 This is a self portrait of Laurencin. 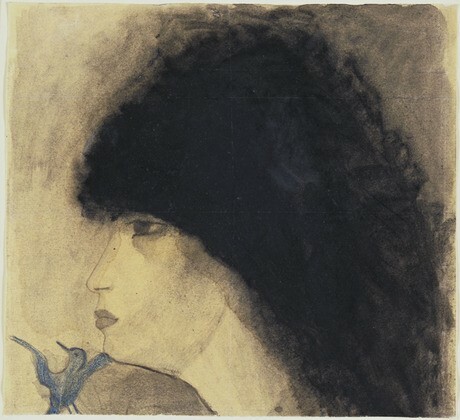 I think that Marie Laurencin was a very unique artist. She introduced her own new art style to the world. Her style is not neccessarily something I would like to use. She uses very light colors to create very serene-looking art. I, on the otherhand, prefer to use dark and light colors to create contrast. Also, my favorite medium is a simple pen while she incorporates colored pencil, watercolors, and charcoal to create her art.. My art tends to be darker and more surreal. Though our art styles are very different, we both enjoy painting porcelain figurines. With her innovative use of soft pastel colors to create her paintings, she has made a great contribution to French art. "Marie Laurencin Biography - Infos - Art Market." Marie Laurencin Biography - Infos - Art Market. N.p., n.d. Web. 14 Nov. 2012. <http://www.marielaurencin.com/>. Suchanek, Isabel. "Marie Laurencin's Biography." Marie Laurencin's Biography. Washington University, 2003. Web. 15 Nov. 2012. 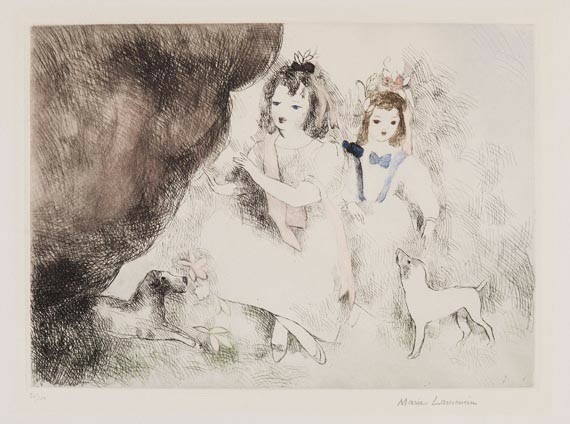 <http://artsci.wustl.edu/~wartists/Modern/marie/laurencin_bio.html>.